Good news comedy fans, Liam McEneaney and Victor Varnado‘s labor of love, TYF: The Concert Film, is now officially available for public consumption. 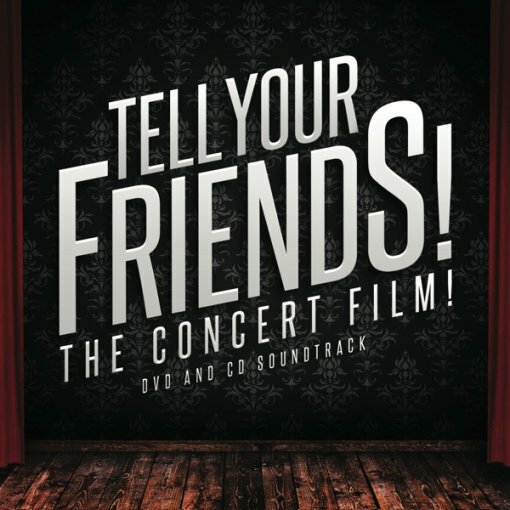 “Tell Your Friends!” is the story of indie comedy in New York City; like classic rock films ‘Woodstock’ and ‘The Last Waltz,’ it tells the story of not just a show, but a scene–a generation of comedians who honed their craft in the bars, rock clubs, and little black box theatres outside the mainstream comedy club circuit. For those of you who have been itching to see this movie ever since it premiered at SXSW 2011, you can now stream it on amazon.com ($3.99 rental/$14.99 purchase) or purchase the DVD + CD combo on A Special Thing Records ($15.00). The DVD/CD package includes extras like bonus performance footage from the cast including Reggie Watts, Kurt Braunohler & Kristen Schaal, and Christian Finnegan, a backstage featurette featuring footage of the cast goofing around during filming, a commentary track from the director and members of the cast, and a “drunken commentary track” recorded at a viewing party with several long-time TYF! fans. Amidst the good news of the film’s release, comes the disappointing news of the cancellation of the TYF movie release party, originally scheduled for December 5 at The Bell House. No word on whether or not the Bell House gig will be scheduled, but according to Liam, there will definitely be a TYF release party in LA in January. Full TYF: The Concert Film press release and trailer after the jump.